Happy 41st Birthday, Bat Out Of Hell! Stemming from a musical named Neverland, a futuristic rock version of Peter Pan, Bat Out Of Hell was written in 1974 for a workshop at the Kennedy Center Music Theatre Lab by legendary producer/songwriter Jim Steinman. 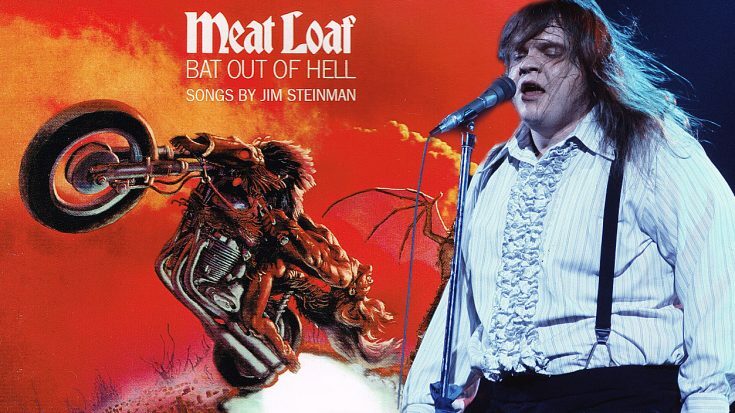 Multi-platinum recording artist Meat Loaf, who was touring with Jim on the National Lampoon live show at the time, began collaborating with Jim on this album, which had yet to be named Bat Out Of Hell. Production for this album began in late 1975 at Bearsville Studios in Woodstock, New York. 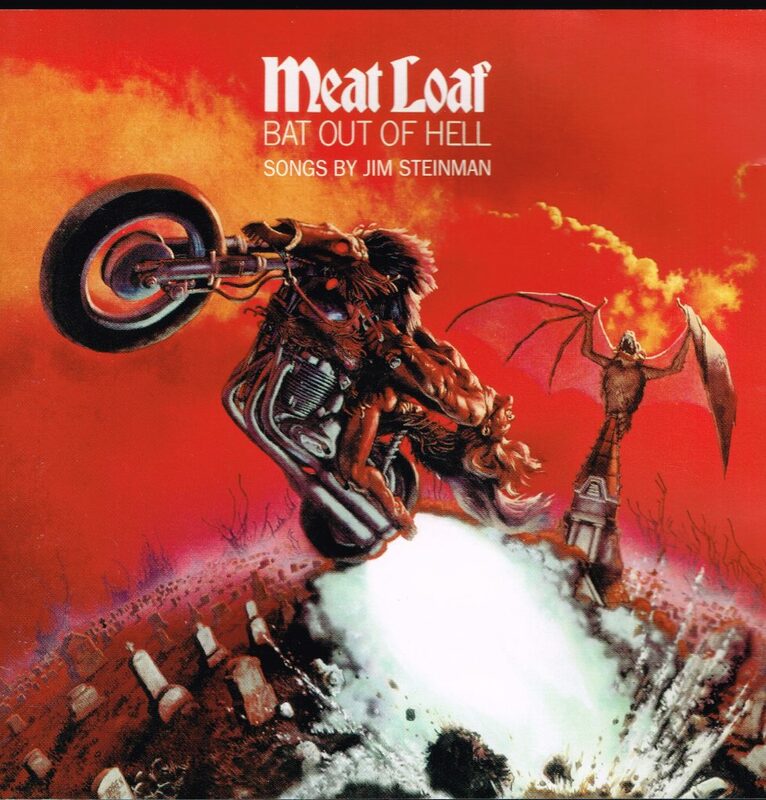 Both Meat Loaf and Jim recruited a slew of iconic musicians for this album. Roy Bittan and Max Weinberg from Bruce Springsteen’s E Street Band played piano and drums on the album. Utopia’s Todd Rundgren, Kasim Sulton, Roger Powell, and John “Willie” Wilcox, and Edgar Winter were also featured on the album as musicians. Additionally, Ellen Foley was enlisted for four songs, one of them being a duet with Meat Loaf for the song “Paradise By The Dashboard Light”. Upon completion of the album, Meat Loaf and Jim wasted no time pitching the record to numerous record labels, but unfortunately to no avail. The album was initially rejected by every record label it was pitched to; the most infamous rejection being from Clive Davis who upon hearing the album suggested that Jim ‘go downstairs, buy some rock records, and learn how to write music’. To this day, Davis sights this as one of his biggest missed opportunity. After pitching the record to as many record labels as possible, the album was finally released by Cleveland International, a small record label whose parent company was Epic Records. After receiving little promotion from Cleveland Records, Bat Out Of Hell did not initially see a large spike in sales, but after a performance of “Paradise By The Dashboard Light” by Meat Loaf and Karla DeVito on The Old Grey Whistle Test, Bat Out Of Hell saw a massive spike in sales in the UK and eventually the world. Bat Out Of Hell currently stands at over 43 million copies sold worldwide. The album reached the #1 slot in 3 countries and was featured in Rolling Stone Magazine’s list of the 500 greatest albums of all time. It goes without saying that Bat Out Of Hell truly is one of the all time greatest rock albums in history. This album features songs that Meat Loaf himself would go on to perform for 41 years to come. Happy birthday, Bat!